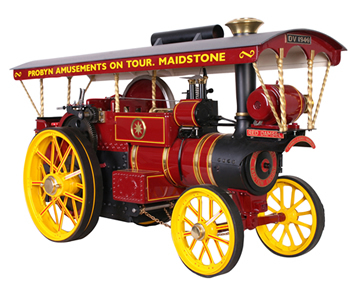 The Showmans Engine is considered by many to be the ultimate form of the traction engine. 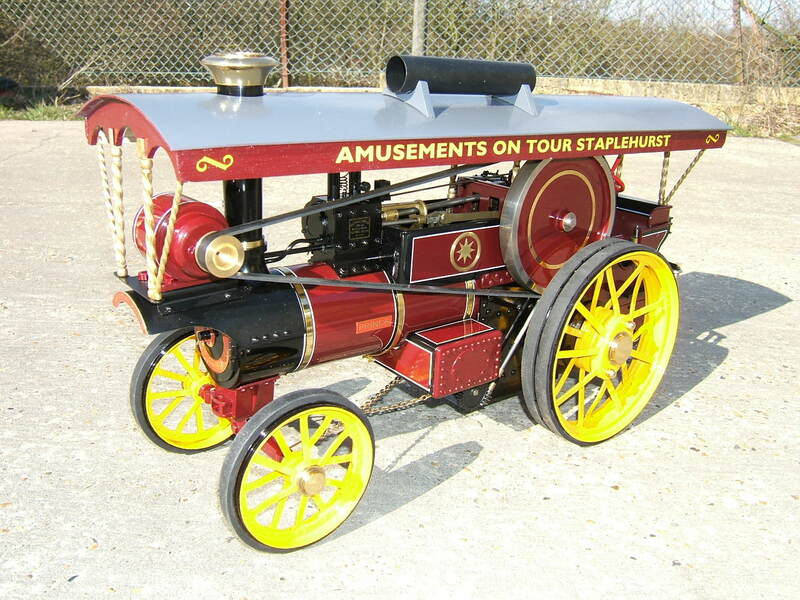 It is a specialised road haulage engine with modifications to make it suitable for Showmans use. 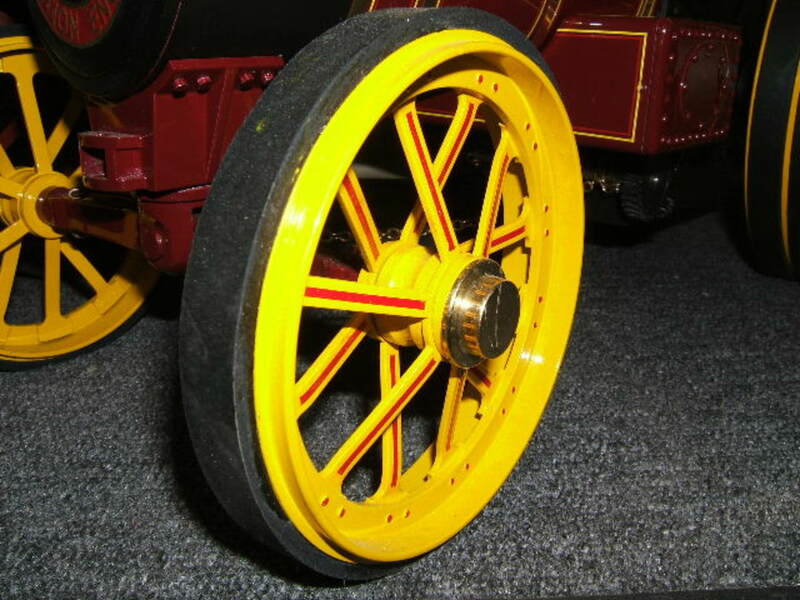 There is a large dynamo mounted on an extension to the smokebox, which is belt driven from the flywheel. 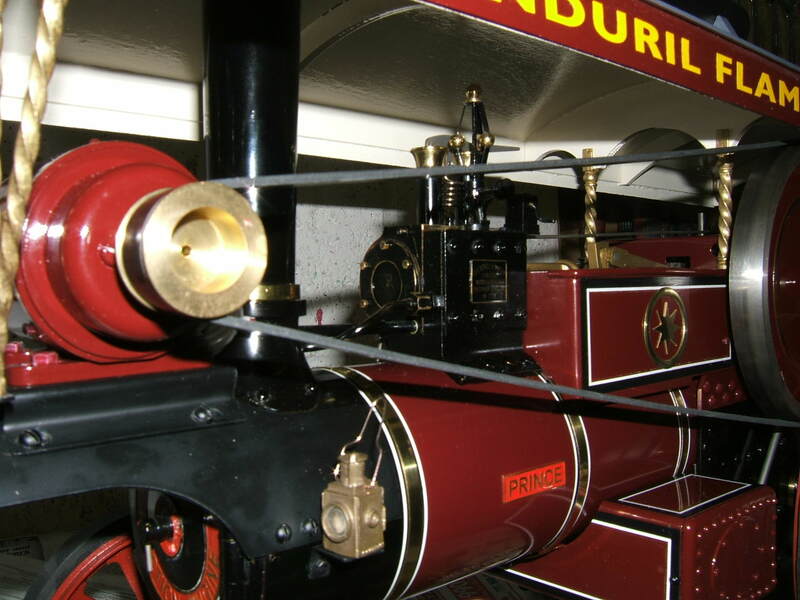 An extended canopy covers the length of the engine supported by traditional brass barley twist staunchions, with the brass capped chimney passing through. An extension to the chimney is usually mounted on the roof, to be used for extra draught, necessary when working stationary. 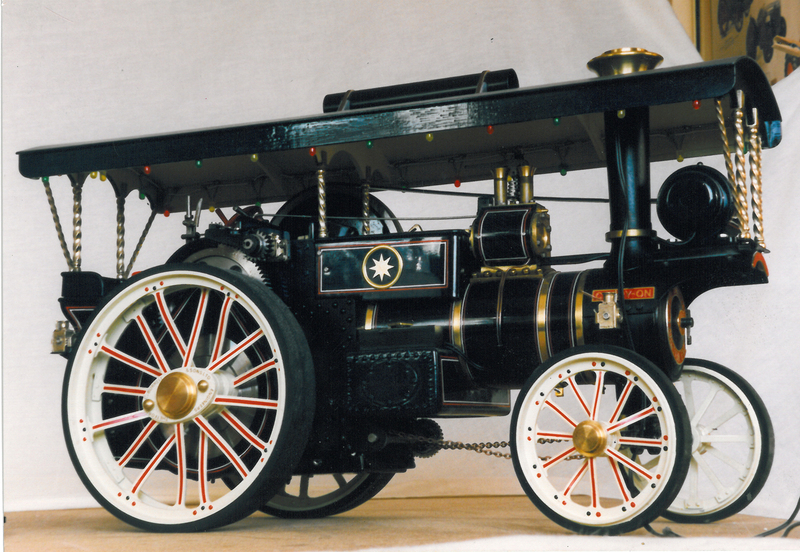 added decoration includes brass stars to the motion covers and belly tank, extra brass boiler bands. Optional signwriting, lining and canopy lighting add the finishing touch. 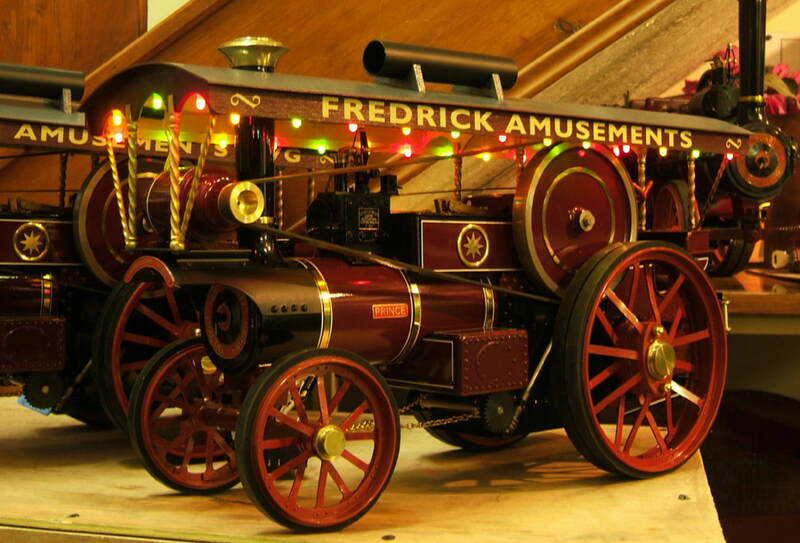 This fully detailed model captures the splendor of these impressive engines.